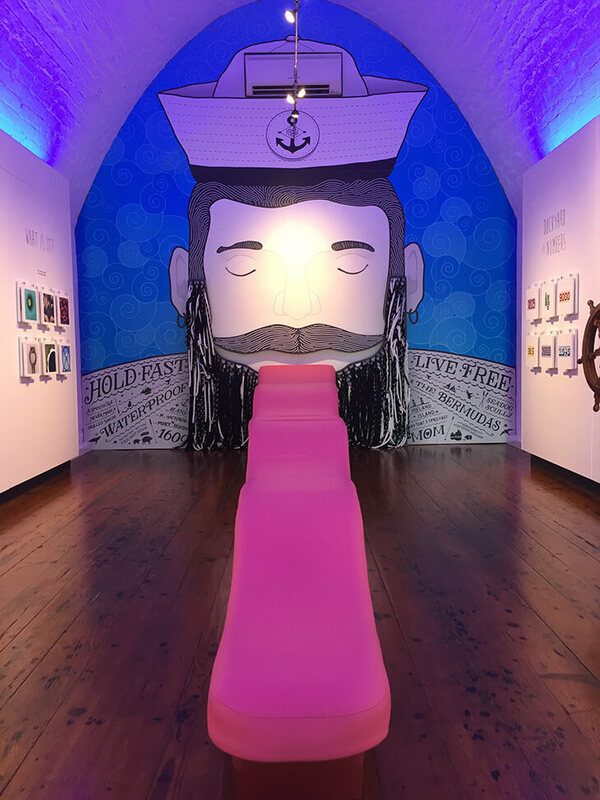 The National Museum of Bermuda (NMB) has a whimsical interactive children’s exhibit, The Museum Playhouse that explores aspects of Bermuda’s maritime history in original and unexpected ways. Through play, toddlers to pre-teens can learn about topics such as historic communication on board ship, pilot gigs, gombeys, the building of the Royal Naval Dockyard, Bermuda’s agricultural heyday, and how to tie nautical knots in a giant sailor’s beard made of rope. The exhibit was designed by Bermudian designers and artists Russel DeMoura and James Cooper, working closely with the NMB Curatorial Team, and incorporates original work by other local artists. 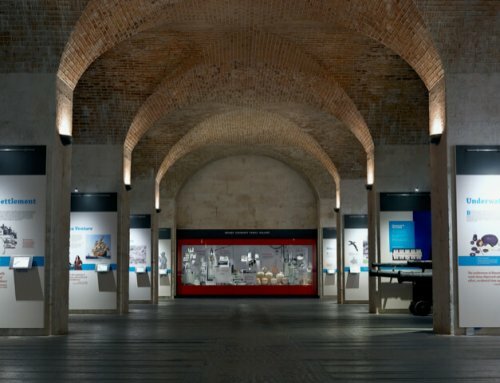 This exhibit, located in a 19th century military building in the Museum’s lower grounds, compliments the award-winning Museum Playground, which offers children a much more colourful and exciting experience to the typical monkey bars and swings. 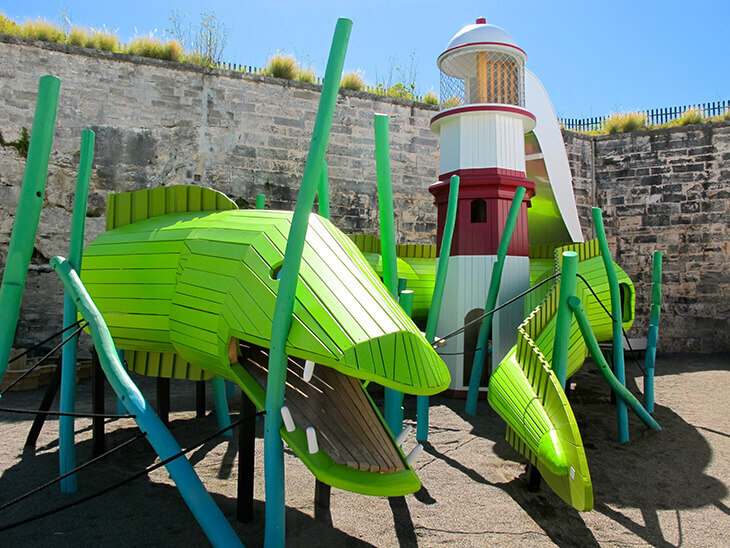 A 21-foot wooden lighthouse with slide is encircled by a vibrant green moray eel where children can climb through its mouth and body. There is also a sand box in the shape of the Keep Fort, equipped with play cannon and ammunition. 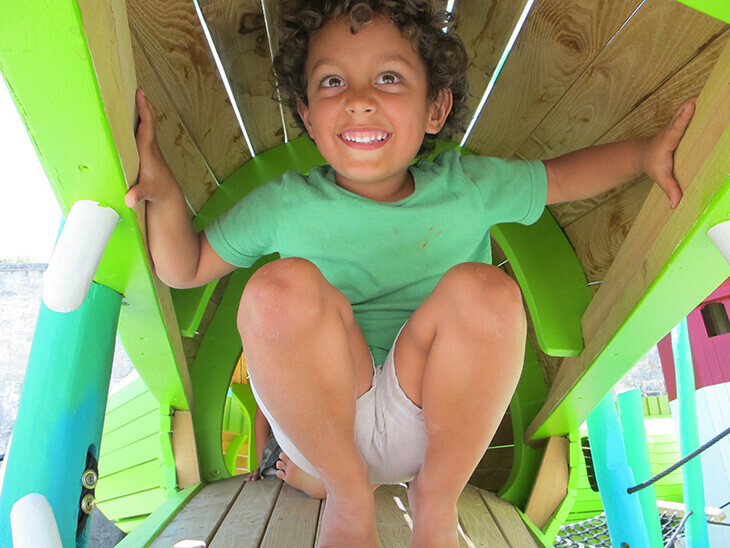 The Playground, which is exciting to play on and visually stunning, was designed by Danish firm Monstrum who believe playgrounds should be full of colour, fantasy and create a visual story that challenges kids motor skills. Come visit the NMB Playhouse & Playground for some family fun and help foster an appreciation of Bermuda’s rich local history in your children.